Subheads are one of the best tools to use when writing on the web. They are very simple, but they play a huge role in how scannable and readable an article will be. When I say scannable, I mean when a reader views your article they will look for visuals and subheads that will explain what the particular article will entail. When reading an article it is much easier to have subheads when moving from one section, or topic to another. Subheads are a neat and organized way of transitioning within the article. They explain what the next group of text will consist of, that way if the reader is not interested in the specific topic they will not have to waste their time reading about it. Good subheads draw the reader in and make the reader interested in the article. The better the subheads the easier the article will be to scan, which in turn means more readers will read the article, which is the overall goal. However, subheads can be very difficult to come up with. They have to be clever and snappy to draw the reader in, but at the same time they have to be informational and predicting. At times this can be extremely difficult to do depending on the topic of discussion. 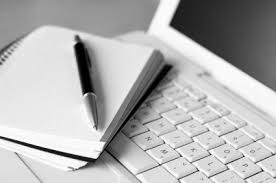 Web writing and academic writing are completely different. When writing on the web you want to try to write in short snappy paragraphs. You do this through a skill called chunking. When you chunk text, you break down what may have started as one really long article into smaller, manageable, more easily understood blocks of text. Your goal should be to create chunks of information that can stand on their own, but that also fit within the larger context of your website. How Long Should your Paragraphs Be? Finding a happy median between a chunk of text that is too long and a chunk of text that is too short is key to successful web writing. If your chunk is too long then it makes it difficult for the reader to find the key points that you, the author, are trying to highlight. If your text is too short then there will not be enough information in the text and it will force your reader to search and click around to find the necessary information they are looking for, which is not good at all. A great way to help out with your chunked paragraphs is to insert bulleted lists, highlighted words, and links into your text to help the reader out. The links that you include should link to other relative articles that help the reader gain a better understanding. 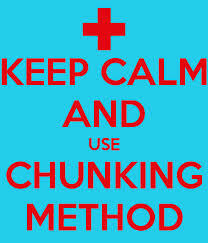 An example of chunking could be conveyed on my own website that I created. 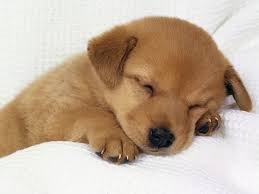 It is a website that I made for Happy Boy Dog Food. It has chunky paragraphs that make the website scannable for the reader. Plain and simply put, you cannot write on the web without including visuals for help. Not only do they spice up your article, but they help the reader understand what they read in the text that you provided for them. Also, the visual imagery will help the visual learns more than a chunk of text will. Like chunking, visuals help to keep your article neat and organized. They are a very helpful tool and they make your article appealing to the eye, so it is a win-win every time. Link text is really important. It is what makes the Internet what it is. Links allow us to choose our own adventure on the Internet. Links can be extremely helpful in your own article because they can help the reader fully understand what you are talking about. Links should be provided to any other website, blog, or anything else that will be helpful for the reader. In order to be able to easily spot them, links should be a different color to the rest of the text on the page. Sounds pretty obvious, but it’s truly amazing how many websites don’t do this. This is most common in corporate websites who decide to have black text and black link text. Underlining link text can be beneficial to the one in 20 color blind people and users with poor vision. Never use the phrase “click here” when dealing with links. By changing the color of visited links users are provided with a visual clue as to where they’ve already been on your website. When the reader scans they only spend a split-second looking at the text contained in any link, so it’s really difficult to quickly take in the content if there are more than five words in the link text. The word conveying the most useful information to the reader should be at the front of the link text and is the most likely to be seen by your site visitors scanning the page. All in all, writing for the web is very different than the normal, boring, academic writing. 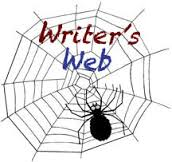 Web writing has to be done with fire, love, passion, and a real sense of emotion. It has to be done with personality because it is really all about interacting with your readers. It is a way to relax from all of that formal academic writing and just have fun with it. Web writing can be fun and easy if you keep these tips in mind.